Behind The Thrills | Show your ears! Disney will donate a million dollars to Make a Wish if you show your ears! Show your ears! 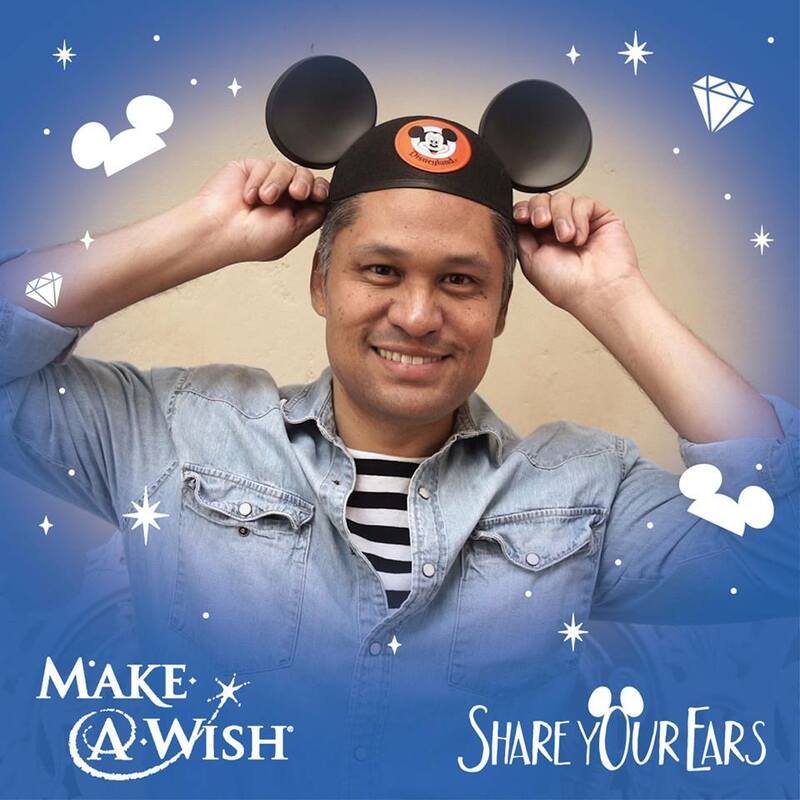 Disney will donate a million dollars to Make a Wish if you show your ears! Show your ears! Disney will donate a million dollars to Make a Wish if you show your ears! Today is going to be a big day for Disney. They’re going to unleash some new trailers that have been highly anticipated, and more importantly, they’re going to air The Wonderful World of Disney that will showcase Disneyland, and the new Star Wars Land. Even more important than that, and not as talked about, is the fact that they’re going to donate up to a million dollars to the Make a Wish Foundation, which helps children with life threatening illnesses. It’s all up to you, and all you have to do is…Show You Ears! We are just a few hours away from getting some huge details about the all new Star Wars Land, as well as seeing a huge tribute to Disneyland. But, there’s something more important happening as well. Disney is teaming up with Make a Wish for #SharYourEars. The new charity program is simple, post a picture on social media of you wearing Mickey Ears, and Disney will donate $5 dollars to The Make A Wish foundation. The company is prepared to donate a million dollars, so it’s really going to be up to you to make it happen. You can also use a special Facebook overlay for your profile picture that will also trigger the same donation from Disney. If that’s not enough, you can also donate for a chance to win a Disney Vacation, special jeweled encrusted ears and even a tour of Walt Disney Imaginearing. Find out more details here! Wonderful World of Disney special airs this Sunday! Harrison Ford will reveal Star Wars Land plans, Elton John will perform and the world will celebrate the Wonderful World of Disney!